The Living Room, a contemporary all-day-dining venue in the heart of Kuala Lumpur invites all to renew ties in this month of reflection with its delectable traditional Malaysian spread. From the moment the sun sets, The Westin Kuala Lumpur has prepared ’Juadah lftar’ to make the Ramadhan month the most memorable for you and your loved ones. Walk through The Living Room’s entrance as its hospitable waiters usher you in with warm smiles. 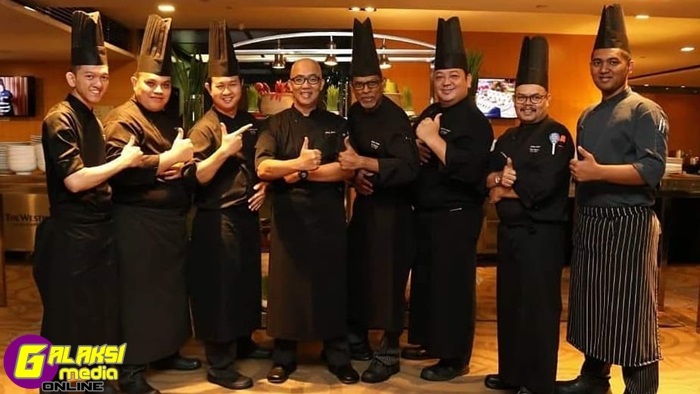 Allow its dedicated culinary team led by Executive Chef Halim Chek Lah to whisk you away in exquisite dining of authentic Malaysian cuisine in various live cooking stations. Enjoy a wide selection of delicious appetizers, must-have cuisines and irresistible desserts with more than 50 mouth-watering dishes laid out in the buffet aisle. ’Juadah lftar’ promises a good start with dishes such as fine dates from Tunisia and Iran, Gear Box Soup, ‘Roti John Pelangi Ayam’, 6 Hours Braised Beef Short Ribs, Marinated Local Style Roasted Whole Lamb,’Lemang’, ‘Ketupat’, ‘Palas’, ‘Nasi lmpit’, Malaysian ’Agar-Agar’, traditional Malay ’Kuih, Strawberry Mousse Cake, Roseville Cream Brulée, ice cream and many more to ensure the perfect ending to your feast. Enjoy the seasonal Durian feast moment with your friends and family and savour the unique and aromatic flavours of this King of Fruits. The Living Room will be serving durian kampung this year. Eat to your heart’s contents in a specially constructed canopy as our chefs wield their knives and pop open the thorny fruit in all its glory, one durian at a time. The Living Room also serves Zam-Zam Water as a purity symbol for the Ramadhan month. RM 79nett per person (7-12 years old) *Children below 6 years old and below dine for free. Enjoy special discounted rate at only RM108 nett per person when you purchase the ’Juadah Iftar’ early bird voucher by 5 May 2019. * Marriott Bonvoy members entitled to additional 10% discount. ☆ Marriott Bonvoy & Beyond Dining members are entitled to 20% discount on the above promotions. Chef Halim has enjoyed a long and prosperous career in hotel industry with roles dating back to 1998 where he started as a Kitchen Apprentice, progressing to the next level in culinary division. He has a vast experience working in many established organizations such as Four Seasons Kuala Lumpur, St Regis Kuala Lumpur, Grand Hyatt, Hilton Kuala Lumpur and a few renowned boutique resorts. Chef Halim joined The Westin Kuala Lumpur family as an Executive Sous Chef in 2018 and enjoys cooking local and ethically sourced ingredients. 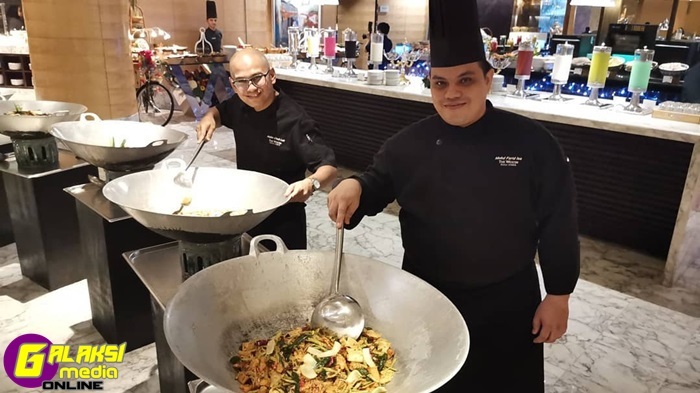 Chef Halim’s mission is to provide total customer satisfaction by rendering highest food quality, excellent service, well balanced and affordable meals in line with Westin’s brand pillar programme; Eat Well. With an impressive 20 years of extensive exposure and experience under his belt, Chef Halim now helms the culinary team as the Executive Chef of The Westin Kuala Lumpur. The Living Room sits beneath a stunning glass sun burst sculpture from the ceiling, a venue like no other in Kuala Lumpur. Being a comfortable place for meals at any time of the day, it strikes a balance in redefining the concept of the comforts and contemporary living, while serving an array of delightful cuisines. Join us in experiencing a fresh take on an interactive dining expenence. For dining reservations, please contact Westin Dining at 603-2773 8495 or log on to www.thewestinkualalumpur.com for more information. ← (SEMASA) AGAPE Launches Trim+ at ’Road To New York City (NYC): The Grand Reveal’ Gala Event, Signs MoUs With Business Partners From Malaysia, Japan, Thailand, India and Hong Kong.